The girls from Iowa beat the girls from Brazil Thursday night. 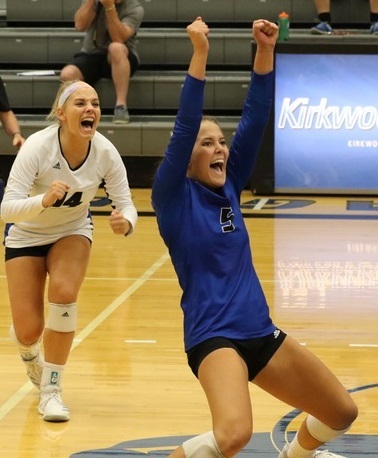 The Kirkwood women's volleyball team clipped Indian Hills, 21-25, 25-20, 25-20, 18-25, 15-9 in an exciting match that had an international flair at Johnson Hall. Indian Hills has 12 players from Brazil on its 15-girl roster, along with one player from Serbia, one from South Australia and one from Ottumwa. 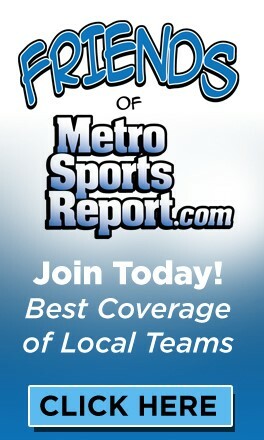 All 15 of Kirkwood's players are home-grown products from Iowa and Thursday night the Iowans won. Kirkwood Coach Jill Williams has coached at the international level during her career and has seen Indian Hills stock its roster with players from all over the world before. "That's kind of their forte in Division I, to go the international route," said Williams. "My forte is to find what's right here in Iowa and right in our backyard and let's roll." Kirkwood is ranked No.13 in NJCAA Division II, while Indian Hills is ranked No.16 in Division I with more scholarship money than the Eagles. Grit and determination beat money and international passports this time. "It's exciting for our kids to know what level they can play at," said Williams. Kirkwood sophomore Haleigh Durnin, who is from Dike, played against Indian Hills last year and knew what kind of roster the Warriors would bring to Cedar Rapids. "They had a pretty big team of Brazilians last year," said Durnin. "It was no shock to me." 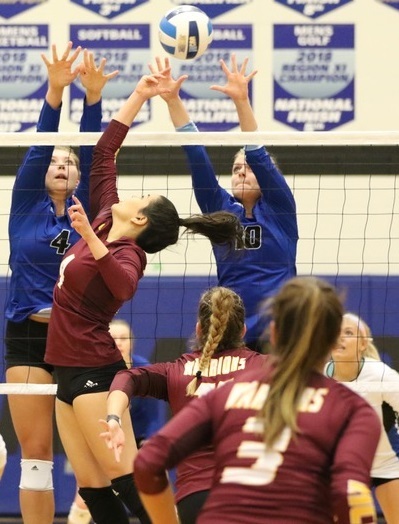 Indian Hills won seven straight points during the latter stages of the fourth set for a 25-18 victory to square the match, 2-2, giving the visitors all the momentum for the fifth and decisive set. The Eagles snatched it away and grabbed the fifth set, 15-9, with some of their best volleyball of the season. "I'd say it's a pretty big high right now," Durnin remarked. "We played really well tonight. We had some ups and some downs, but we really came together at the end and pushed through. "To be honest," she said, "my nerves were kind of all over the place. I knew we were going to finish it strong." Kirkwood raised its record to 14-3. Indian Hills fell to 9-4. Alexa Ingram led Kirkwood with 17 kills. Durnin and Abbi Tunis had 11 kills and Sami Johnson finished with seven. Lauren Keane collected 26 assists and Madi Wagaman had 16. Maddie Lavenz provided 18 digs, Johnson 16, Wagaman 11 and Keane 10. Maddie Huff, Ingram and Tunis led the blocking brigade at the net. "I saw energy on our team, I saw the excitement to get better and face the challenge," said Williams. "Being down after the first set, we could have taken the easy road." The Eagles took the high road instead to one of their best victories of the season. "I'd say we're really making strides forward," Durnin declared. "We're not quite there yet, but we're getting there."